Gnostice has released an update for their XtremeDocumentStudio component suite on Delphi XE8 Firemonkey. XtremeDocumentStudio is a full featured PDF/DOCX document suite. There are a lot of features here so if you don’t see something specific be sure to check out the feature matrix on their site as well. Basically it has a couple different parts which consist of a VCL side, an FMX side, and a REST service side. On the VCL side you can view, print, and convert PDF/DOCX documents in addition to a huge number of image formats. On the FMX side you can view PDF documents on Android, IOS, OSX, and Windows. And lastly their REST service is called StarDocs and adds additional DOCX document viewing support for Android, IOS, OSX, and Windows. Documents can be loaded and saves from databases, files, and streams on the VCL side. This is a commercial component suite but there is a free trial available and full source code comes with the Ultimate edition. You may be able to use the FMX and REST sides on Appmethod. 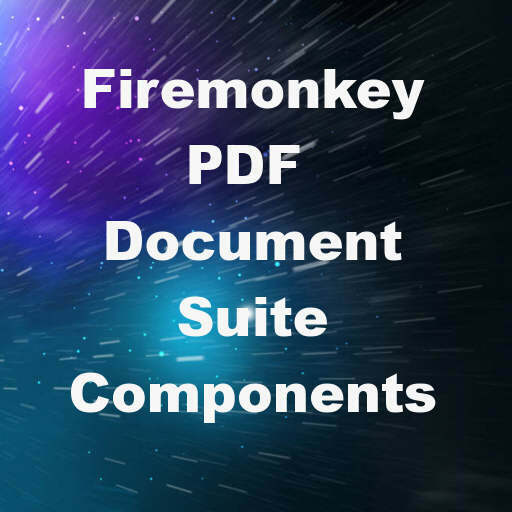 Head over and check out the full feature list of XtremeDocumentStudio for Delphi XE8 Firemonkey and then download the free trial.